Dr. Judith Ancheta is a licensed Naturopathic Doctor who belongs to the blessed minority of individuals who actually gets to practice what it is she loves. She makes evident that there is no better way to live life than in the service of others and as a privileged healer of the mind, soul and body. She is continually amazed by the outcomes achieved when treating the entire person, and not merely their symptoms. She is further fascinated by the complexity of how biopsychosocial interactions impact disease prevention and health promotion. Dr. Ancheta is passionate about strongly advocating for the health and well-being of her clients, which is reflected in the care, detail and caliber of all individualized treatment plans prepared. She finds it rewarding to empower clients and then to see them achieve their healthcare goals and improve their quality of life. This joy in her profession and in what she is able to accomplish working alongside clients, is evident in her day-to-day interpersonal dealings with all whom she encounters. In the future, she hopes to re-create this environment on a larger scale. She is passionate about being an active participant in the delivery of progressive, compassionate patient-centred care. Her life, work, volunteer and extracurricular experiences have provided her with an appreciation of what it means to work both independently and as a valued team member. 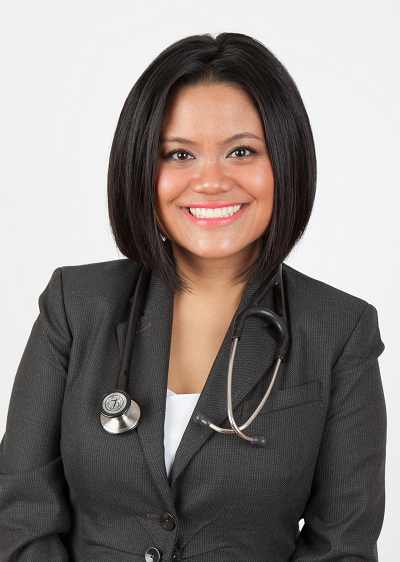 Dr. Ancheta hopes to continue to deepen her knowledge of the various tools and modalities used in naturopathic medicine, which has largely encouraged her to think outside the box as a diagnostician, and has further taught her to be flexible in her approach to various presenting conditions. More than ever before, she is realizing how appreciative she is of the eclectic practice of naturopathic medicine, which makes it applicable and appealing to many individuals from different cultures and backgrounds. Dr. Ancheta has a strong curiosity and commitment to life-long learning. She looks forward to further expanding upon her clinical repertoire, experience base, professional development and personal growth. One obstacle that has impeded the widespread awareness and use of more natural health and wellness solutions and services is that naturopathic medical treatments and services are not covered by the Ontario Health Insurance Plan, and as such is less accessible arguably, to those who might benefit from it the most. There are currently many areas of medicine that excite Dr. Ancheta. Among these, she is interested in researching the efficacy of naturopathic treatments and their impact on patient outcomes. Having measurable results will be tantamount to allowing Naturopathic Doctors to be able to work their full scope of practice under the current Health Professions Regulatory Advisory Council Act, particularly given the important focus on the provision of evidence-based, scientifically-safe medicine. As a society, we are moving towards an increased awareness for one’s own health; as this trend continues, so too will the need increase for stronger interprofessional, interdisciplinary discussions and collaboration. Dr. Ancheta sees Naturopathic Doctors influencing future policy and leading the widespread provision of truly integrative healthcare. Dr. Ancheta has a special interest in providing support for family medicine and chronic disease management particularly in cardiovascular health, kidney health, anti-aging medicine, women’s health and pediatric care. She has a vociferous commitment to staying abreast of new research and therapies that may benefit patients and utilizes a combination of clinical nutritional counselling, botanical medicine, traditional Chinese medicine and acupuncture, homeopathic medicine, lifestyle counselling and comprehensive laboratory testing. She is often spotted in and around the community speaking on an array of health promotion topics that contribute to the solid foundations for health and is an avid supporter of educational initiatives helping naturopathic interns, university and high school students in their discernment of career choices. She is also interested in the provision of healthcare to those in the healthcare industry, to underserviced populations, and in the development and implementation of workplace wellness, appreciation and employee assistance programs.